English premier league champion, Manchester City have started work on the state-of-the-art £100m training complex that they hope will lead them to the top of the European game. 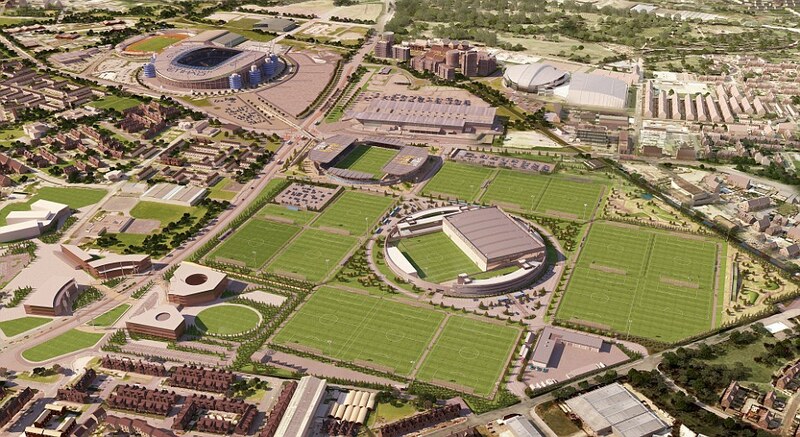 City's astonishing new complex is being built on an 80-acre site across the road from the Etihad Stadium in East Manchester and will be ready in time for the start of the 2014-2015 season. 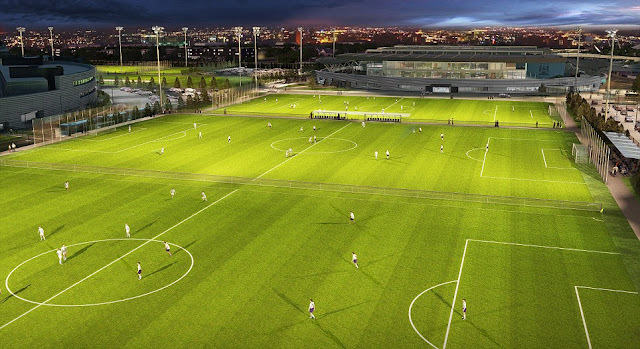 Believed to be the most complete training ground in world football, it will comprise 17 football pitches, a 7,000 capacity stadium for reserve matches, a youth academy complete with classrooms and accommodation and even a community sixth-form college and leisure centre. The site will be linked to City's current home by a footbridge and will enable all the club’s players, staff and officials to be housed on the one giant complex. City ambassador Patrick Vieira said: 'It will be one of the best in all of sport. Currently City’s senior players train at Carrington, to the west of Manchester, while the club's youngsters train at inner-city Platt Lane and the administration staff are based at the main stadium. In two years they will all be on one site as the Barclays Premier League champions look to introduce one ideology – and one style of play – throughout all age groups. Of the complex’s 17 pitches, 12 of them will be dedicated for players between the age of 8 and 21. City intend to plant 2,000 trees on the regenerated land that was once polluted and that has been cleared and environmentally cleaned over the last 12 months. The club have already recruited some construction workers from the local community and – where possible – will use products sourced from the north-west as part of the build. Of the 80 acres, almost 6 acres will be set aside for community use. This will include the site of the sixth form college and leisure centre. The site will also use recycled water.